Catherine has a diploma in ultrasound imaging that she is hoping to convert to a degree of Bachelor of Diagnostic Ultrasound through a three year course at Ernest Cook Ultrasound Research & Education Institute, Kampala. Elsewhere on the website there is information about infant mortality in Uganda. We aspire to reduce those statistics in Ojama by helping to train staff and eventually building a maternity unit at the Ojama medical clinic. 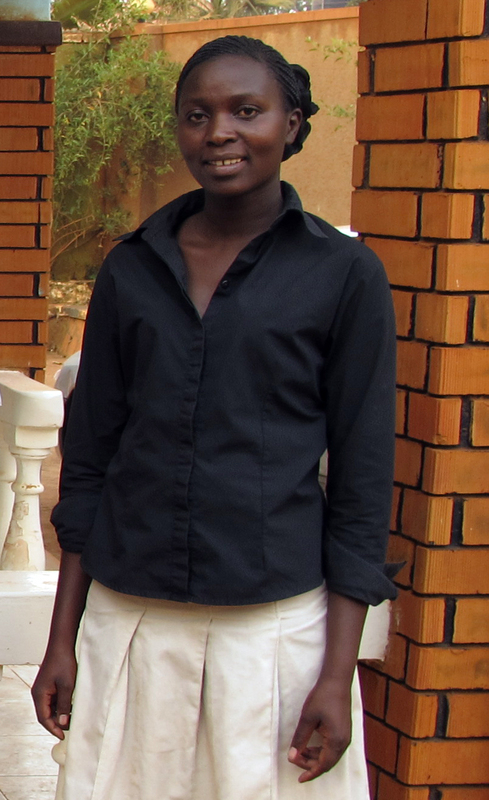 Catherine has been working for a number of years at the Serere Hospital antenatal clinic. There she has developed a great rapport with pregnant women and through outreach programs has encouraged women to use antenatal facilities and deliver in hospital. At the same time, Catherine has taken - and repaid - a series of loans to further the development of the Ojama medical centre. If Catherine is able to complete her degree, together with her husband Dr Denis Omiat, she will provide a much needed, high quality service to the people of Ojama. Catherine would greatly appreciate financial assistance - via the Trust - for the tuition fee of her degree course. Fees amount to approximately £1,155 per year. On top of that, there are fees to the Institute to cover research, admin costs, accommodation and specific materials required for the medical imaging course and amounting to the equivalent of £1000 per year. Denis and Catherine have proven to me their ability to sacrifice and save for things that are important not only to themselves, but also to their community and they have indicated that they will somehow fund this £1000 per year - BUT they need help with the tuition fees. If you would like to commit towards Catherine's tuition fees, you will not only be assisting her but enhancing the whole Ojama community once she qualifies. Any amount, however small or large, will be gratefully received. You can make a payment direct to the Trust and indicate you wish it to go towards Catherine Anyodi - university course.